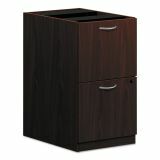 HON BL Laminate Two Drawer Pedestal File, 15 5/8w x 21 3/4d x 27 3/4h, Mahogany - basyx by HON offers excellent value. 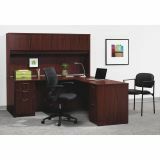 The BL Laminate desk collection allows a personalized office suite using a handful of versatile components. The modular design breaks down to smaller, easy-to-handle components that can be easily staged, then re-stage as needs change. 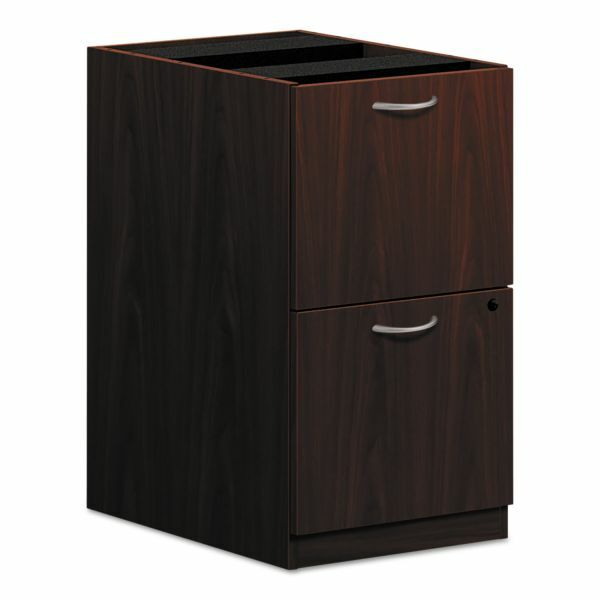 Complex pieces such as storage pedestals and laterals come fully assembled, with no instruction manual required. 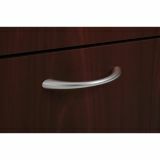 Desk and credenza shells ship flat for easy maneuverability up steep staircases and through narrow doorways, but assemble in minutes. 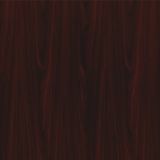 All components feature scratch- and stain-resistant laminate for durability, and are backed by the reliability and reputation of The HON Company. 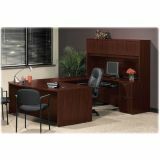 Look to basyx by HON for commercial office performance at a home office price.